You have company coming in this week, out of town business meeting the following week, and dozens of appointments in the month ahead. With life pulling you in numerous directions, it is difficult to find time to enjoy the simple pleasures. Family outings to Clackamette Park or a trip to the Oregon Coast are a time to get in what matters most. Consequently, you do not want to spend your free time dusting furniture or mopping the floor. Well, worry no more. Oregon City’s premier House Cleaning service here to help. Oregon City‘s Maid Brigade is also proud to be Green Clean Certified®. “What does it mean to be Green Clean Certified?” you ask. The Maid Brigade of Oregon City professionals use only green cleaning solutions and processes. Our green cleaners never contain harmful toxins or carcinogens which can promote health risks for people and pets. We use special concentrated cleaning solutions that are biodegradable and safe when mixed with water. By cleaning green, we leave your house clean and healthy. Our house cleaning teams service West Portland residents in Tigard, Beaverton, Tualatin, Hillsboro, Sherwood, Lake Oswego, Wilsonville, West Linn, and Newberg. 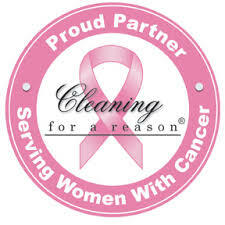 Our maids must meet the highest cleaning standards and have been Green Clean Certified. Maid Brigade works to satisfy you and your family by always doing their best. We value your comments and will gladly answer and questions or concerns you may have. Our house cleaning professionals are eager to help, so you have time for doing the activities you love. With housework taken off your “To Do” list, you will have more time and energy to go for a hike, a visit it the beach, or have a picnic in the park.